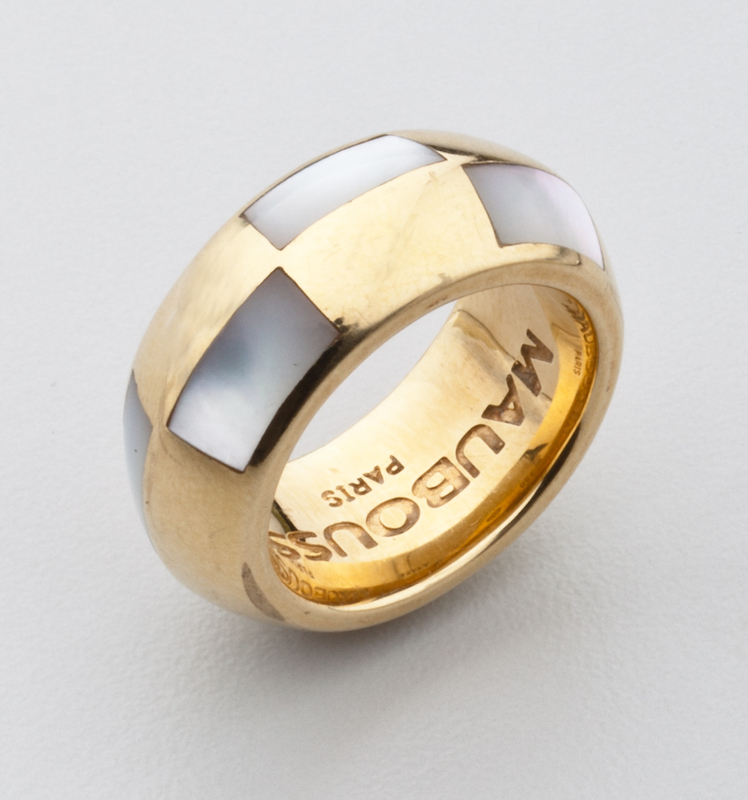 An 18 karat gold and mother of pearl ring by Mauboussin. The shaped band is accented with five rectangular inserts of mother of pearl. Signed Mauboussin Paris 750 A7455 with an HM mark for Haffner Mauboussin Partnership. Marked 50 which is the French mark for size, the equivalent of 5 1/4 in US sizing.